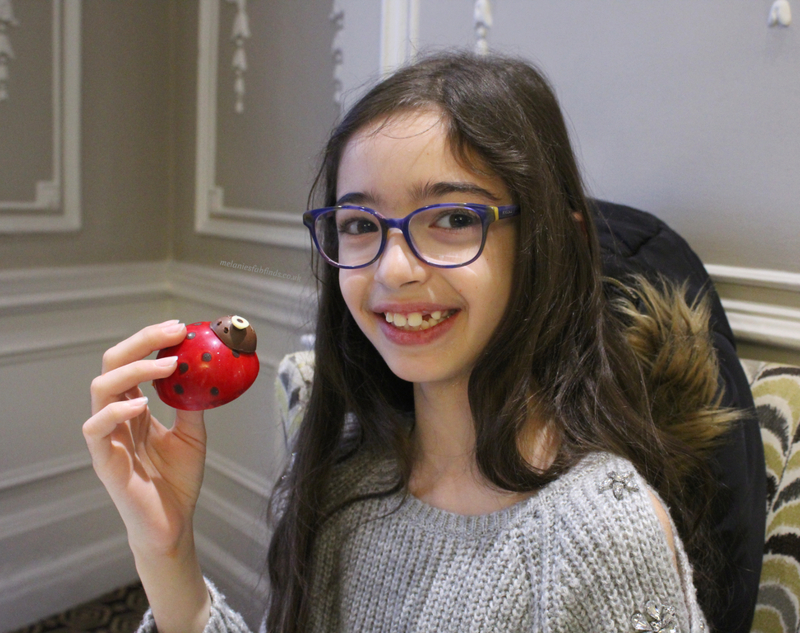 Over the recent half term I took my daughters and a plus one with me to sample the tantalising delights available at St Ermin’s Hotel. St Ermin’s Hotel is just a minutes walk from St James’ Park Station and has the most lovely tree lined entrance leading towards it. As the girls entered the front of the hotel they stared in awe at the beautiful double staircase that unwound in front of them. 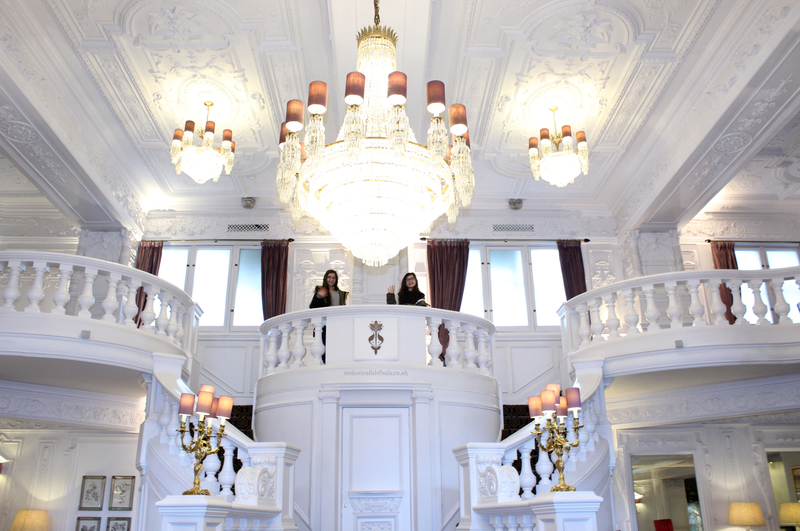 Together we ascended and discovered the stylish St Ermins Tea Lounge. The tea room boasts beautiful ornate ceilings that my husband would have been envious of, and plush seating for guests to experience an indulgent and relaxed dining experience. Our servers (Chiara and Violetta) were friendly and helpful and called the little ones Princesses which they loved. They truly felt like Princesses in these beautiful surrounding and being served as well as they were. The honey use in the desserts is from the hotels resident bees which they have on site in a Bee and Bee Hotel on the third floor (ha, love the name). Pop up to the third floor and watch them from behind the glass. They also grow herbs and use these in the various sandwiches. 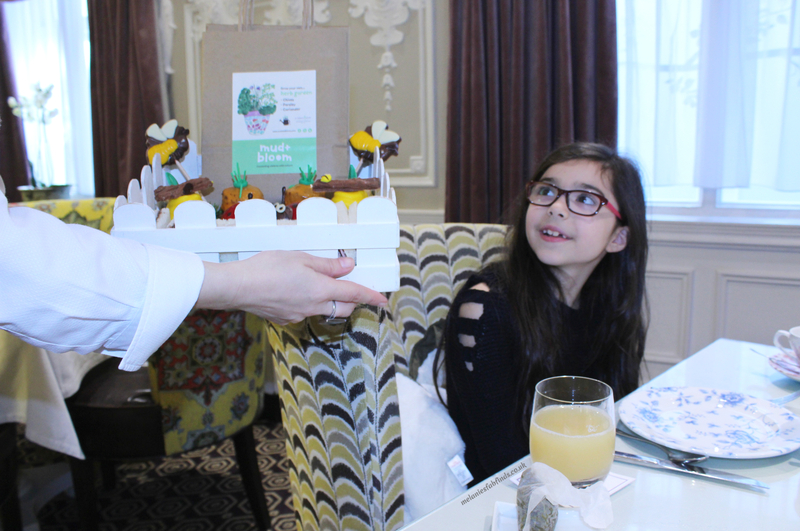 The children were given a goody bag with their afternoon tea containing seeds that were produced by the herbs the hotel had grown – what a lovely touch. The girls thought this was fantastic. They loved the garden theme and that there was so much effort put into the design of the items included. The second this arrived they dived in and started munching on the sandwiches before indulging in the various treats that made up afternoon tea. The portion size was good for my little ones. They struggled to eat everything although they did also try items from the adult afternoon tea. The sandwiches were all full of flavour the only thing I did note was that the bread was a little drier than expected. 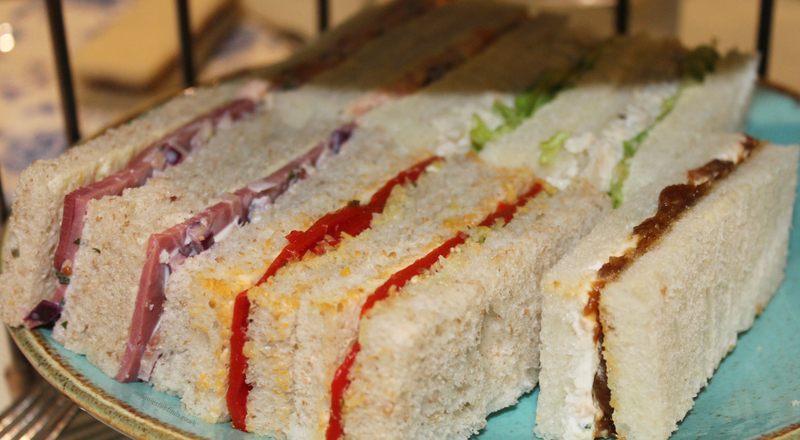 I liked that the sandwiches were not the normal classics but a bit different as it can get boring otherwise. There are alternative options for those with allergies available. 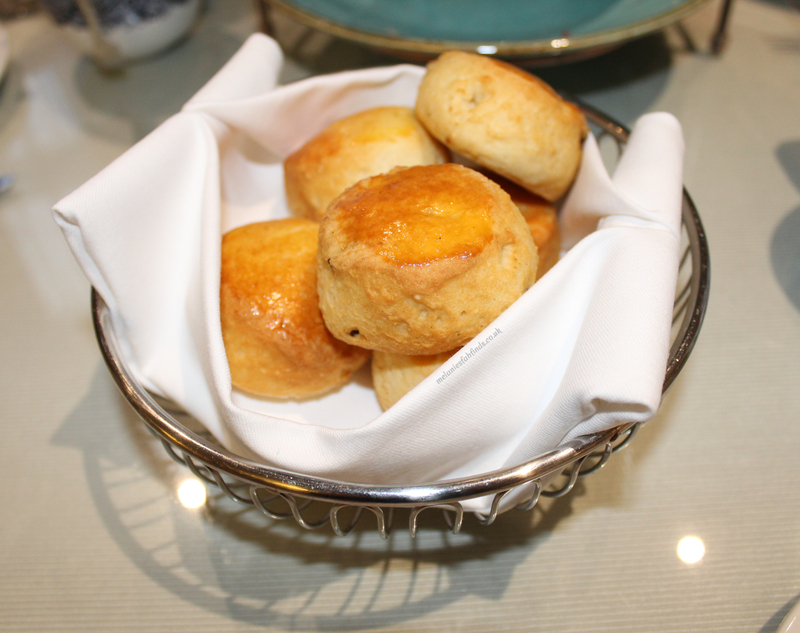 Freshly baked scones – With clotted cream and homemade jam (mixed berry). The scones were smaller than normal but a good size to suit the children. They were nice and buttery although not served warm which was unexpected. They were delicious with the mixed berry jam and we happily munched on them as we chatted amongst ourselves. The cake were all yummy. The white chocolate mousse with the honey sponge and honey caramel was heavenly. The combination worked incredibly well. The same can be said for the panna cotta, my only wish was that it was larger as it was exceptional. The only dessert I wasn’t so sure about was the banana and honey mousse with chocolate (the one that looked like a beehive) everything else worked exquisitely well. 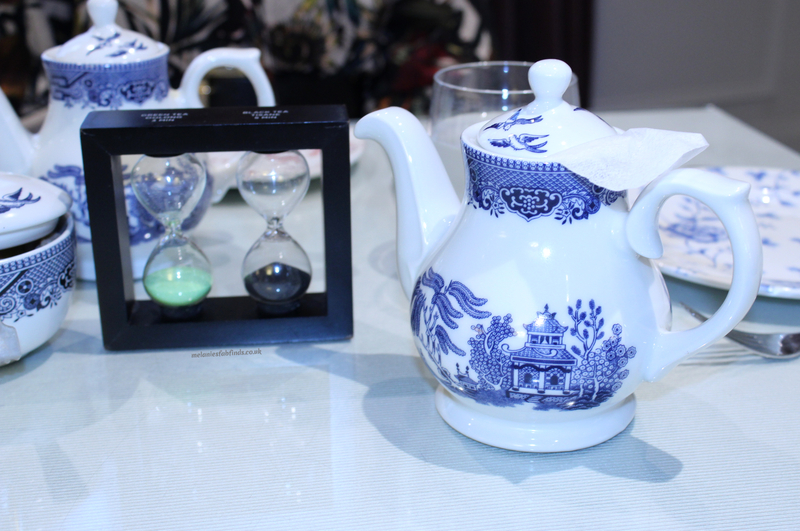 When served there was a timer so guests knew when to take out the tea bag. I enjoyed the Jasmine Blossom tea which went nicely with the food. I also tried the Oriental Sencha, a gorgeous combination of young green tea leaves, dried seasonal petals and mango and papaya. The tea was superb and one I would highly recommend. We had a lovely time. The setting was great, the food good and I’m sure the girls will treasure having experienced this too. There is an outdoor area although this was not open on our visit – for this I was thankful as it was a chilly day although it would have been lovely I’m sure. All in all we had a great afternoon out and were pretty full. We didn’t over eat, just ate until we were comfortably full and brought back the leftover cakes in a take away box for daddy and little man to enjoy. 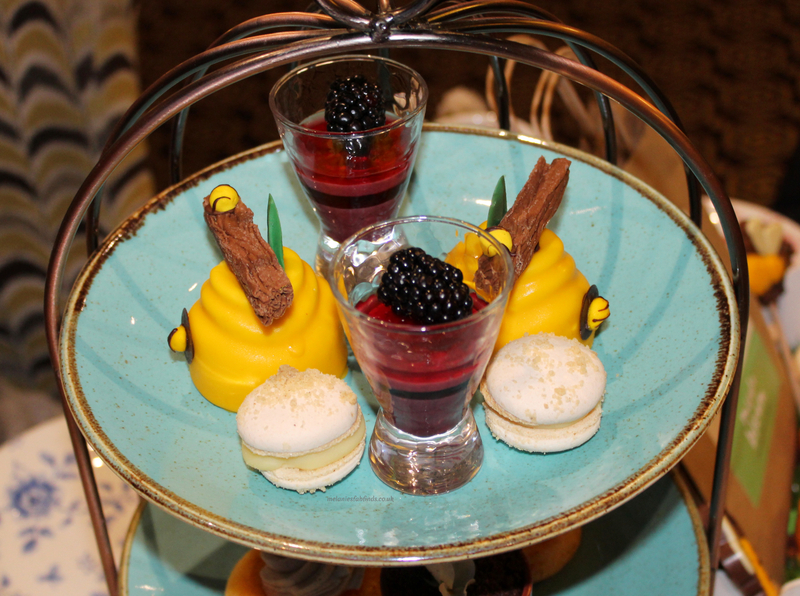 Have you indulged in an afternoon tea before? Enjoyed this post? You can subscribe to Melanie’s Fab Finds to have posts delivered straight to your inbox. These will include recipes, reviews, competitions etc. before anyone else. Don’t worry I won’t spam you. 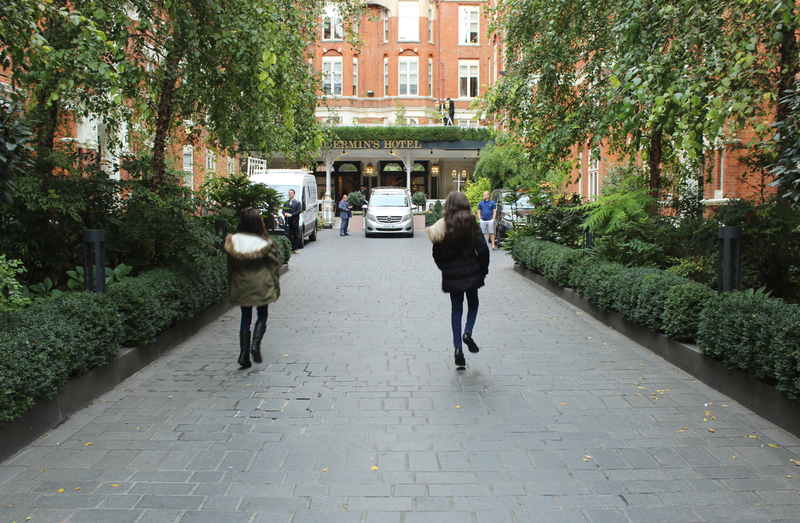 Disclaimer: We were guests of St Ermin’s Hotel. All thoughts and opinions are our own. Oooooh what a sweet treat you had. It looks like kids also enjoyed it. Look at their smiles, even I would have smiled if I were around this treat. Excpet the chicken sandwich, as I am vegetarian , so I cannot have that. Wish I could afford this place. Oh what an absolutely lovely day for your daughters! 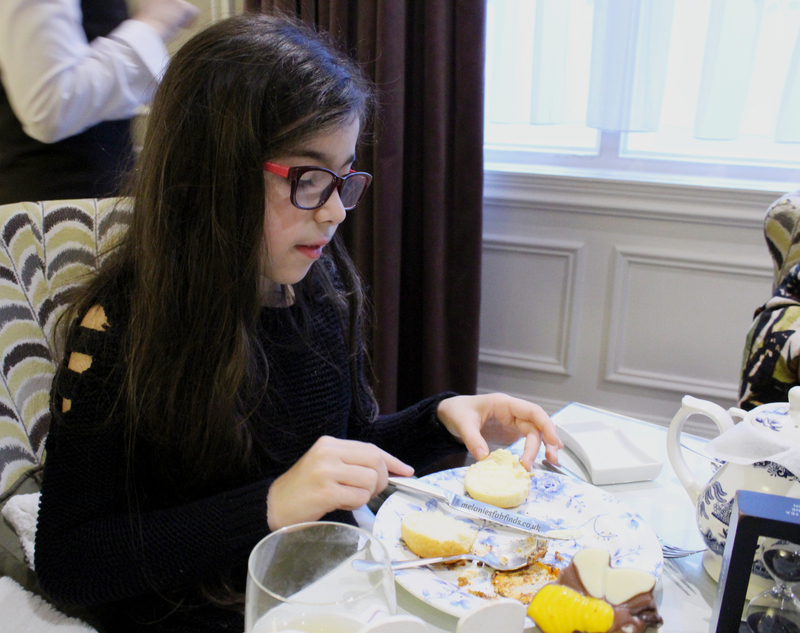 We had afternoon tea recently in London and was a real treat. It’s the presentation… just amazing. The place looks fantastic. I love the fine china. It sure is going to make you feel like royalty. The food and drinks look so good! I wish I had a chance to visit that hotel. It does have a lovely feeling being served in such lovely surroundings. Oh wow the tea room look so amazing. The sweet treats look yummy too. And I could see that your daughters were really enjoying their day out. It was a lovely day out. They had the most magical day and truly felt like little Princesses!!!! It looks like you had a perfect bonding moment with your daughters. The food looks awesome. I am sure all of you enjoyed every treat. It was a lovely day out for us. I’m so glad they got to enjoy it too. Awe, what a sweet little adventure you had with your little ones. 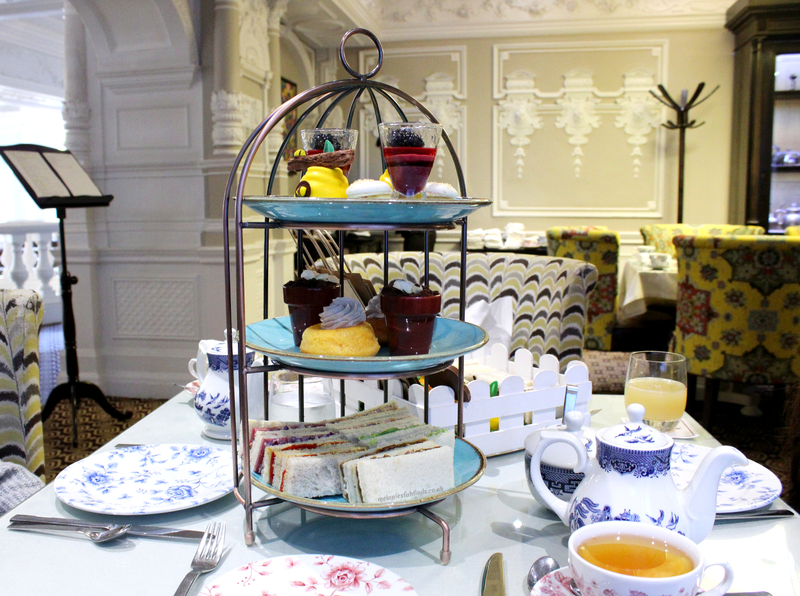 It looks like St Ermin’s offers a very fancy afternoon tea that I would love to experience! It was a great afternoon tea. We had a lovely time there. Those desserts look delicious, and the hotels interior is very intriguing. It seems like you spent some real quality time with your daughters and made some great memories! 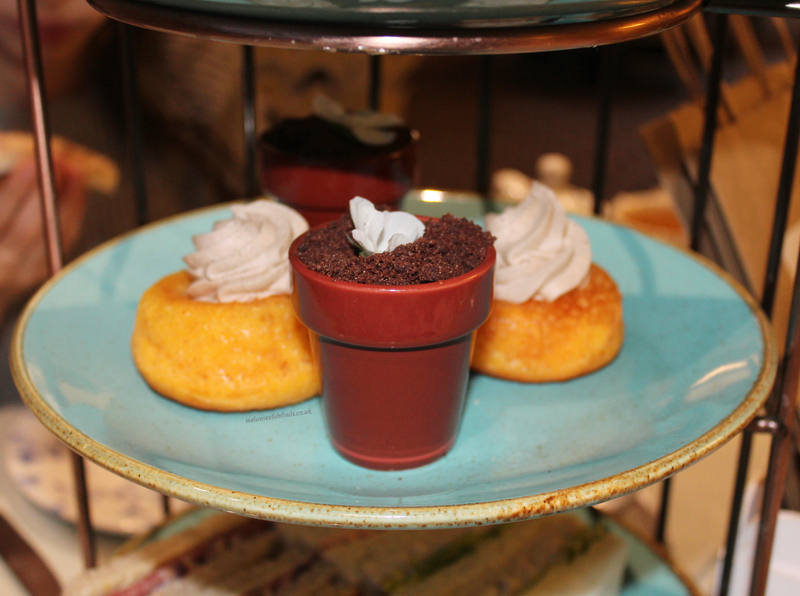 I’ve never been anywhere for afternoon tea, it looked great though, although the ladybirds looked too cute to eat! The ladybirds do look great don’t they. They were one of the first sweet treats to go. Oh this looks like such a great experience! 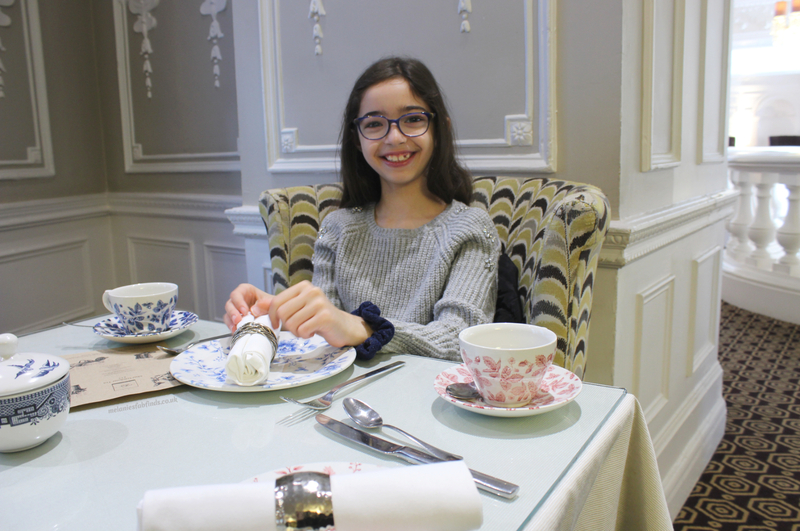 I have always wanted to go to an afternoon tea, as a I love tea and the accompanying snacks. Looks like your family had a great time! The double staircase and the tree lined entrance were beautiful! It is in a great setting. Same here, we love all the food options. Oh, this looks like it would be absolutely lovely, I’m sold! What a wonderful tea and I believe St Ermins has a colourful past worthy of research with Churchill and the SOE featuring quite prominently. Wow – what a lovely place and they really went to town and spoiled your party! I love the sound of it all. It looks like you all had a wonderful day out. I may now try it myself one day. Looks lovely! how cute is the kids food! Tell me about it, they made it look great for the little ones. The place looks incredible, as does the food. Sounds like you all had a lovely time and experience to treasure. oh wow, what a treat for you all! This place looks so lovely, and i love that they make their own honey to use in their recipes! 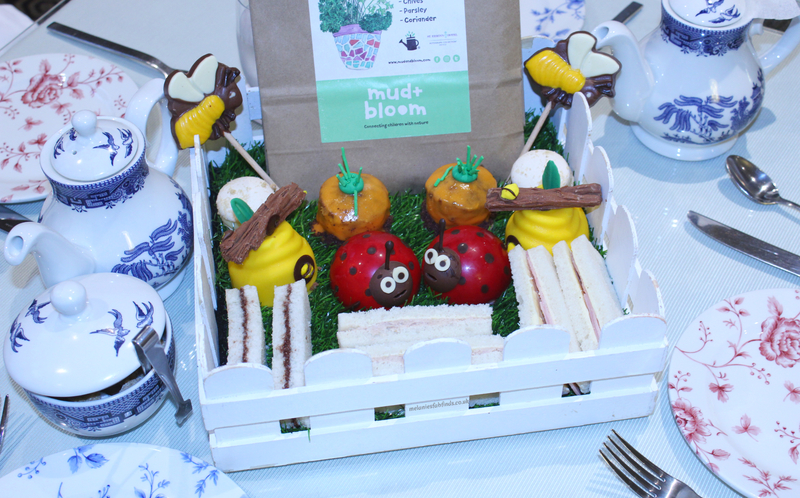 How cute the childrens afternoon tea was too, with the little garden cakes, and the seeds for them to plant at home! Love it!! The food was lovely and a good range too. That looks fabulous! The ladybirds cakes and bee lollipops are adorable! It makes for a lovely day out. It can work well as an adults only or a family day out. This is such a fun idea! No I don’t live in the UK but I am hoping at some point to go there in someplace like this would just be fun to do. I hope I get there at some point. I really hope you get to go. The location and setting are really lovely and the afternoon tea is yummy! 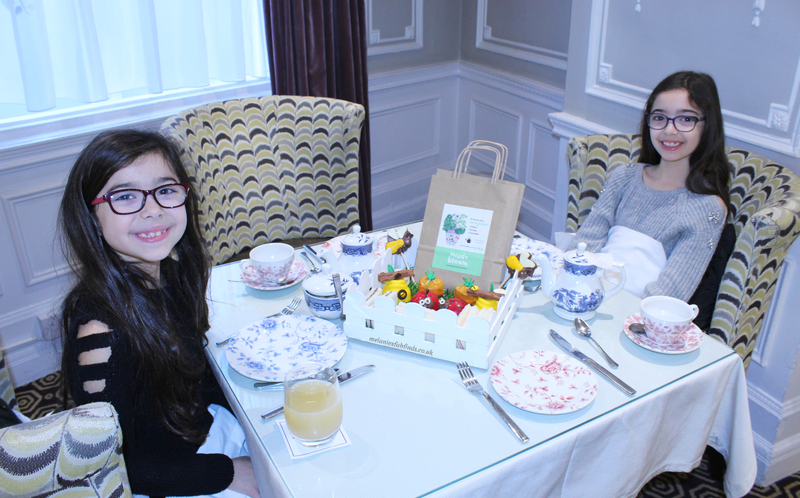 What a gorgeous place to have tea and a fun experience for your little lady! This place is amazing! I’d love to go here with my daughter and have tea with her. We’d be all about those sweets. I don’t blame you. The mix of cakes was really good. What a majestic hotel that was. I have not been to a tea like that but your kids seemed to be right at home . I hope to get to this hotel some day. I hope you do. It’s lovely to see and the afternoon tea is nice too. Awe these two are pretty princesses! My daughter went to a tea house with friends and she said she loved it there. They are great for making little ones feel special. The staff treated them like royalty. that is the most adorable tea time i’ve ever seen! how fun is that. my girls would love it! It is fantastic!!! I want to try some more themed ones. They are great! I’ve never had afternoon tea before. This looks like an amazing experience. I would love to give this restaurant a try. OMG you must try one. Enjoy!!! That hotel looks gorgeous and the tea looks amazing. I love the children’s tea—so adorable! It is super cute, we loved it too! My daughter would have loved something like this when she younger! I’ve been to a few high teas for adults, and it is always been a pleasant experience. The architecture there is so beautiful, I’d love to visit the hotel in person. The hotel is beautiful. It’s the perfect afternoon tea location. I’ve only been to a real tea once and I loved it so much! I love that this one is kid-friendly! They are lovely. I need to do them more often. I love the gardener theme of the tea for kids. They went to a lot of effort at St. Ermins for that! They really did which I love. It’s great when a company takes pride in product presentation. Wow! Afternoon tea like a little princess! This is such a beautiful experience! I think this would be a wonderful gift for a little girl! This tea room is absolutely stunning! I want to go so much – it is the photographer’s dream to visit a place like this! We love tea time. This looks like something I would love to do with my daughter. You’d both love it, the food is lovely. What a wonderful experience of afternoon tea. There is just something special about sitting down to a traditional tea party. 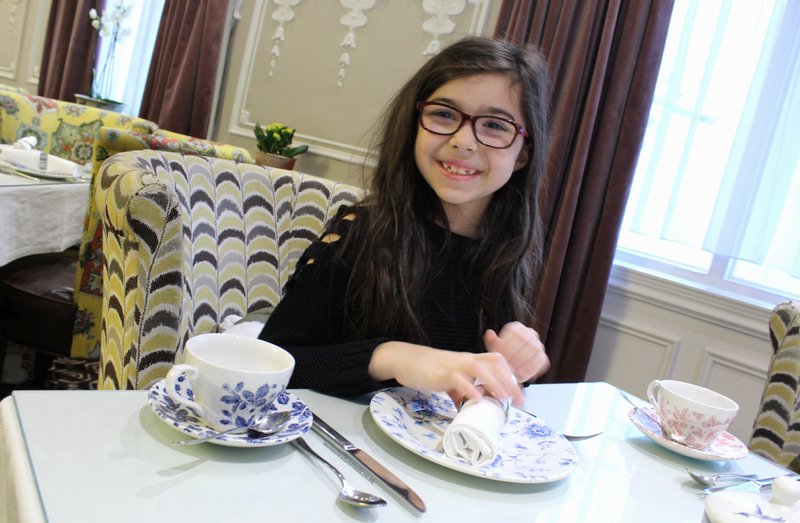 The kids afternoon tea menu looks adorably delicious. It was lovely. Such a great idea for an afternoon tea. Oh wow. This place looks so great! An afternoon tea sounds nice, I’d love to visit and taste everything! It was lovely. We would love to go again. I so love going to tea time! That reminds me that it’s time to go again!! Wow this hotel is just stunning! I love the decor. Your girls seem to have had the best time! It is a lovely hotel. The girls had the most amazing day. It’s the first time they’d been for afternoon tea.